The mystery surrounding the ten individuals who borrowed €300m from Anglo Irish bank to buy 10% of its shares was again the subject of lively Dáil exchanges this afternoon. 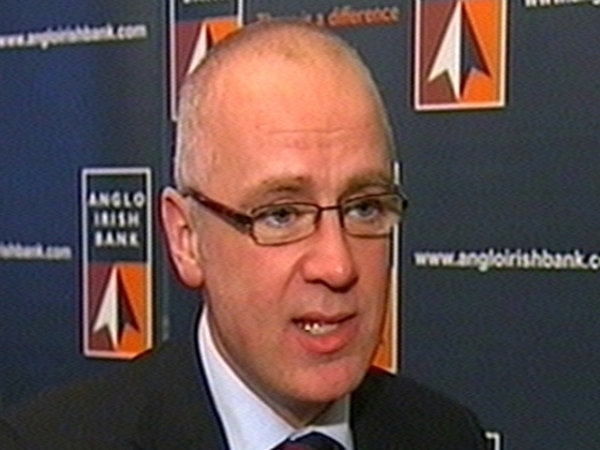 The annual report of Anglo Irish bank is to be published tomorrow, as is the PricewaterhouseCooper report on the bank. The Tánaiste confirmed the ten will not be named in either report; she said that the Government as shareholder could not demand the names because of the legal requirements of banking confidentiality. But this afternoon Minister for the Environment John Gormley said that the names should be made public - if a legal way of doing so could be found. He said the Attorney General was currently examining this question and would report soon. Asked if he was satisfied that no Cabinet member had encouraged the deal, even by implication, Mr Gormley said that he was. He said the Greens had put direct questions to the Taoiseach and to Minister Lenihan, and were satisfied that they did not know the identities of the individuals concerned. Meanwhile, one member of the Oireachtas has claimed he knows some of the names. Holding a piece of paper in his hand, Fianna Fáil Senator Terry Leyden (right) said he had a list of ‘about four’ names, but said he was not going to name them in the Seanad. He called on the ten investors ‘to hold their hands up’. Tonight, at a Fine Gael function in Dublin, Enda Kenny insisted that the ten individuals should be named to give Irish banking a clean start. He said there was a perception that the banking crisis was being manipulated in the interests of powerful and wealthy elites closely connected with Fianna Fáil. He said only by dispelling that perception could the Govenrnment restore the reputation of Irish banking. 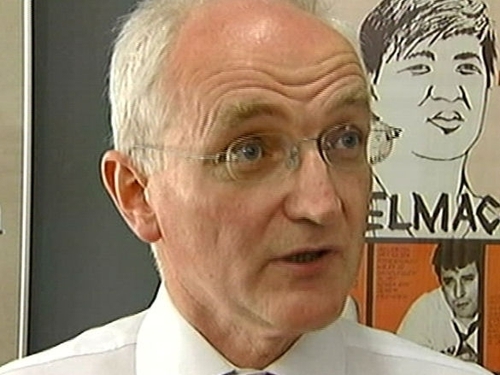 Later, Minister for Labour Affairs Billy Kelleher accused Deputy Kenny of 'playing fast and loose with the facts', and being blinded by his 'constant need to play the political card'. Mr Kelleher said his comments undermined the important work of the legitimate instruments of the State which were established by the Oireachtas to investigate these matters. A Government spokesman has confirmed that consideration is being given to the legal issues surrounding the possible naming of the ten people. The spokesman said consideration is being given as to whether it is legally possible to get the information from anyone other than the Financial Regulator, or to make a disclosure in any other way.